ABA Tutors serves children with autism, Fragile-X syndrome, Down's syndrome, Prader-Willi syndrome, cerebral palsy and their families. All of them have to become an integral part of our community that has so much to offer. ABATutors will accomplish this goal through service, training and research. ABATutors will obtain financial support to educate our community about autism, other developmental disabilities and effective therapeutic interventions. ABATutors will also obtain financial support to provide ABA therapy to children diagnosed with autism, Fragile X syndrome, Down's syndrome, Prader-Willi syndrome, as well as those diagnosed with cerebral palsy. ABA therapy has been shown to be extremely effective for individuals with oppositional-defiant disorders, obsessive compulsive disorders and apraxia. In addition, ABA-based interventions have been shown to be very productive in teaching self-help, social and academic skills. ABATutors will provide therapy at home, in school and in the community. 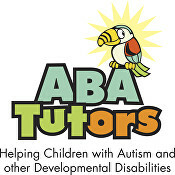 ABATutors will obtain financial support to train parents, other family members and mental health professionals (speech therapists, occupational therapists, physical therapists, special education teachers) in the principles of applied behavior analysis to help them include basic behavioral principles in every day life as well as the delivery of professional services. ABATutors will obtain financial support to conduct research in behavior analysis to further our understanding of therapeutic interventions likely to benefit children and adolescents with autism and other developmental disabilities. ABATUTORS is a 501 (c) (3) charitable organization. Donations are tax-deductible to the extent allowed by law.